You are here: Home / News / Ginger: usually underdosed? Ginger rhizome (Zingiber officinale) has been traditionally used in the treatment of gastrointestinal disorders since ancient times. Nowadays, the primary indication of this plant is the prevention of nausea and vomiting. Postoperative nausea and vomiting are one of the most common complications in patients undergoing surgeries. There is no gold standard for the treatment of postoperative nausea, and one of the applied therapies is ginger. Several clinical trials have been conducted to evaluate the effectiveness of ginger in this indication, this article present a meta-analysis recently published. Selected ten randomized, controlled trials involving a total of 918 patients, mainly females, were pooled for the statistical analysis based on visual analogue scale (VAS). Ginger was found to be safe and well tolerated, alleviating nausea and vomiting in the treated groups compared to placebo, suggesting that ginger rhizome may be a useful alternative to anti-emetic medications. 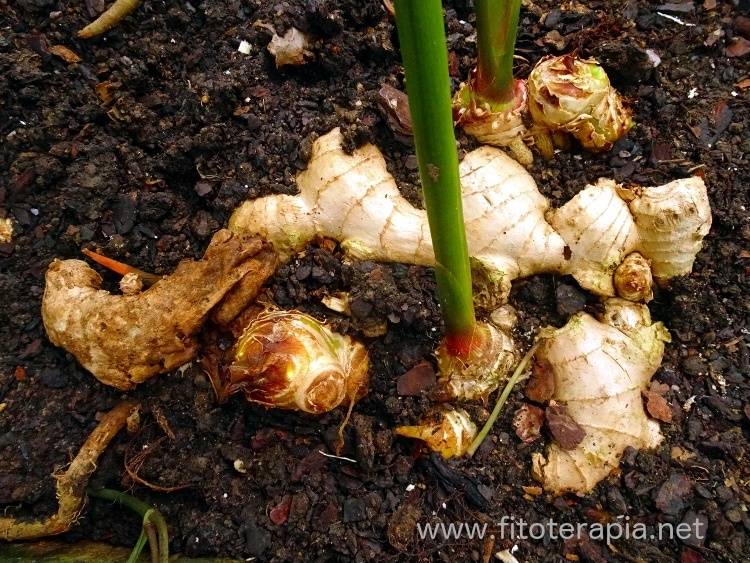 Pharmacological doses of ginger (equivalent to 100–2000 mg of dried rhizome) mitigated nausea symptoms compared to placebo, but this effect was not statistically significant. Subgroup analyses were carried out to determine whether the effects of ginger were dose-dependent. Doses up to 1000 mg had not statistically significant effects the incidence of postoperative nausea. However, there was a trend towards higher doses being more effective than lower doses of ginger in reducing the incidence of postoperative nausea. Although ginger has traditionally been used for the treatment of nausea and vomiting, the optimum dose of ginger for preventing postoperative nausea is still unclear, however, the meta-analysis suggests that it might exceed 1000 mg.
As suggested by the results, the favorable effects of ginger on reducing the incidence of nausea and vomiting are dose dose-dependent, then can be stated that most of the studies did not use the appropriate dose of ginger. There is a clear need for high quality trials of appropriate patient size, examining the effects of higher doses of standardized extracts of ginger and applying comparable endpoints to asses assess s the efficacy of ginger with a lower risk of bias.